Home. It's where you grew up; where your parents live; where your area code references... Maybe it's where you learned to ride a bike or where you fell in love. Whatever and wherever it is, it's something that we take with us wherever we go. With that in mind, we'd like to share our home with you. She's a quiet town with an unabashedly loud character; surrounded by mountains and sprinkled with breweries. 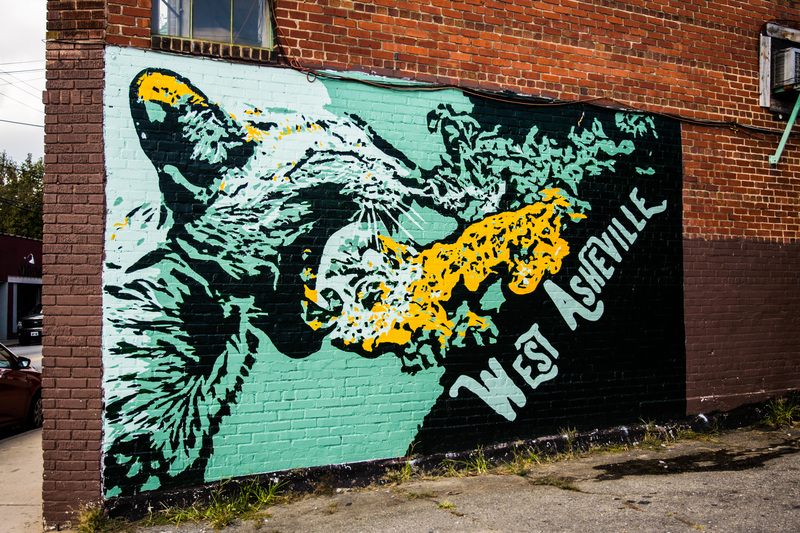 Whether you're into hiking, beer, biking, live music, or just enjoying the hazy blue mountainscapes from the back porch, Asheville is the perfect place to make your first, second, or just-for-the-weekend home. So here's your plan for the perfect weekend in Asheville. Welcome. Make yourself at home. Snag an AirBnb in West Asheville to put yourself in close proximity to the up-and-coming bar and music scene along Haywood Road. Finding a spot near the Haywood Rd./ Virginia Ave. intersection will give you a short walk home after last call and a shot at beating the line at Sunny Point or Biscuit Head (trust us, you’re going to want to be first in line). If you're looking for quieter lodging, check out North Asheville's historic neighborhoods (Montford or Charlotte Street boast great offerings) for some classic Asheville homes and amazing mountain views. Asheville is called Beer City for a reason - so you're starting your weekend off with one of our favorites. Hop in an Uber or cab and head over to Burial Beer Co.’s Taproom (40 Collier Ave.), located in the brewery-filled South Slope neighborhood. (We're not kidding - throw a stone in any direction and you'll hit a brewery-- but don’t really throw a stone, please...) Once home to the brewery’s sole one barrel pilot system, the Taproom now features a rotation of taps allowing you to experiment with all types of beers. 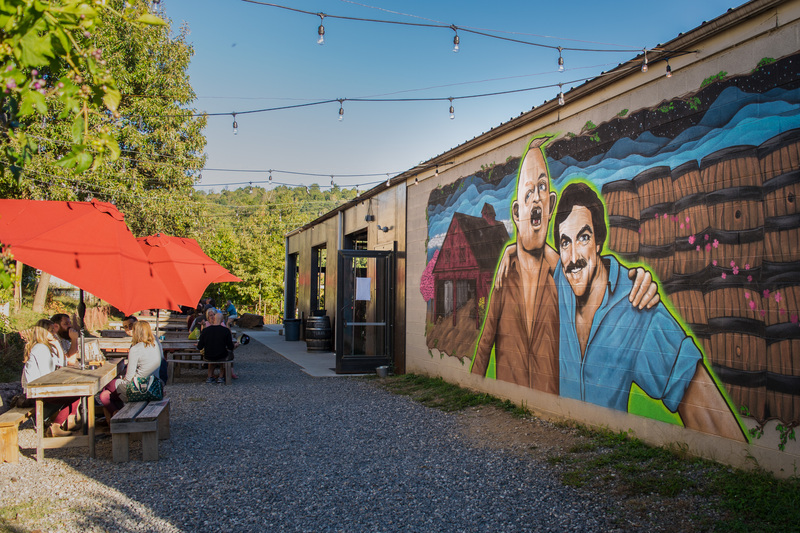 Plus the industrial-feel, prime location, and beer garden out back will give you a perfect introduction to Asheville. Looking for the perfect travel companion for your everyday carry? If a more low-key nightcap is your thing, then head to the Battery Park Book Exchange & Champagne Bar (1 Page Ave.) where you can cozy up in an armchair with a new (or used) book and a glass of wine or a pint of beer. Like most places in Asheville, feel free to bring your pup as you peruse the prolific book selection. Located in the historic Grove Arcade, a public marketplace completed in 1929 and renowned for its architectural beauty and design, be sure to pop over to the Arcade to observe the sweeping staircases and majestic marble-- as well as some unique local businesses. There's no better way to kick a hangover than some gravy, grits, and greasy bacon. That's why you can start off day two with biscuits and gravy at Biscuit Head (733 Haywood Rd.) or opt for more classic fare (with nothing but the freshest ingredients) at Sunny Point Cafe (626 Haywood Rd.) Ready for a modern take on biscuits and gravy? 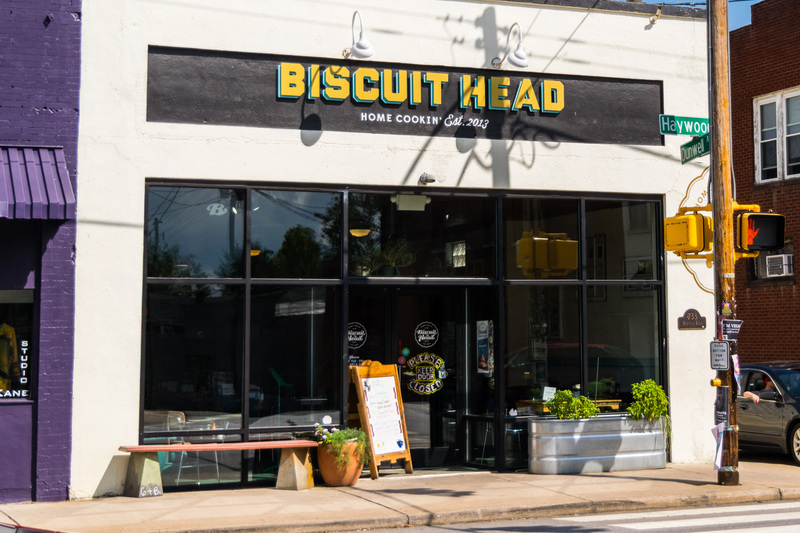 Head to Biscuit Head and grab any of one of their biscuit combinations for a culinary experience that will leave you thinking you're at grandma's kitchen table. Named for its “cat-head” sized biscuits, this joint has a line around the corner by mid-morning-- so get up early and high-tail it over there. As if the breakfast specials weren't enough, a trip to Biscuit Head isn’t complete without a visit to the preserve/jam/jelly/butter bar. Our favorites are the mango habanero jam or the Lucky Charms butter-- yes,thoseLucky Charms-- but perhaps not together. A Rare Sight: No Line To Get In the Door! In the mood for something a bit lighter? Head just down the block to Sunny Point Cafe and grab a more classic American breakfast featuring the freshest ingredients around (trust us, there’s a garden in the back!) Our recommendation is to order one of the daily specials: a revolving collection of the most creative, delicious breakfast creations that will set you right as rain. After breakfast, grab your backpack (have you checked out our incredible Tchoup Industries Roll Top Packs?) and stop by West Village Market (771 Haywood Rd.) to pick up sandwiches and provisions before heading out to one of the numerous Asheville hiking trails. We recommend Max Patch Mountain for its sweeping grassy expanses set against classic Blue Ridge views - and only a 1 hour drive from downtown. 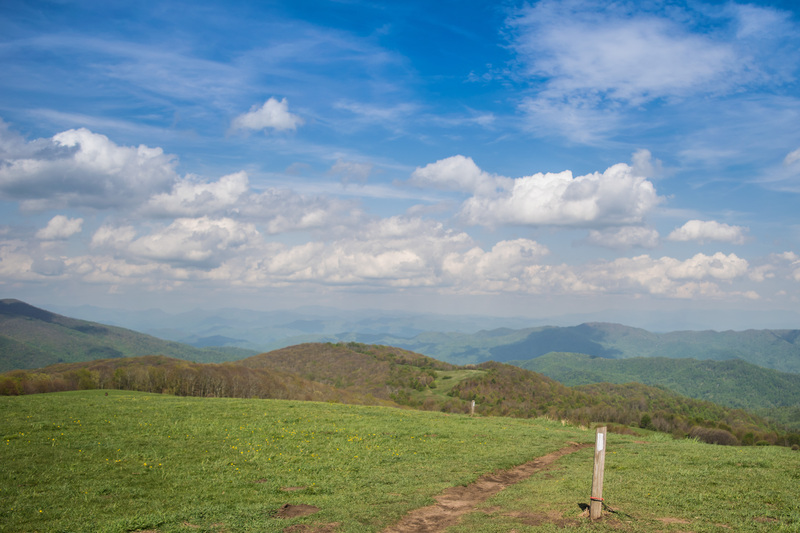 Located near the border of Tennessee, Max Patch was cleared in the 1800s for use as a pasture, but now offers gorgeous vistas in the Bald Mountain Range. After driving through a beautiful tree lined road rising up from streams and creeks, it’s a short hike from the parking area to the top of Max Patch, where you can set up a picnic and enjoy the view (and depending on your timeline, Max Patch is known for spectacular stargazing!) Then follow the trail north for a quick out-and-back hike on the Appalachian Trail. (Click here for directions). If hiking isn’t your thing -- or if you're back early from your trek -- grab lunch at Lucky Otter (630 Haywood Rd.) -- home to inventive California-inspired burritos and tacos (we recommend the Calypso Tacos-- they’re big enough to share! ); then check out one of the many art galleries and studios in the River Arts District, aptly named for its prime location along the banks of the French Broad River. Peak over the shoulder of a master glassblower crafting a vase from scratch or take a stroll through the uniquely Asheville art galleries. Once you've worked up a thirst, stop by Wedge Brewing Co. (37 Paynes Way) for a pint, or head just across the river to New Belgium Brewery (21 Craven St.), where you can grab a Citradelic Tangerine IPA or any of their special brews on rotation, then settle into a spot overlooking the French Broad River. For dinner, pop over to WALK (401 Haywood Rd.) An acronym for West Asheville Lounge & Kitchen (401 Haywood Rd. ), WALK features elevated bar fare and a family-friendly atmosphere. With a new selection of beers on tap regularly (notice a trend here?) and amazing and inventive specials (think: Old Bay seasoned chicken tenders), there’s something for everyone at WALK. After you’ve filled up, catch a ride to Pour Taproom (2 Hendersonville Rd), where you’re given free reign to pick and pour your own beers from the wall of taps. Sample dozens of beers by the ounce or dive right into a pint of your new Asheville favorite. 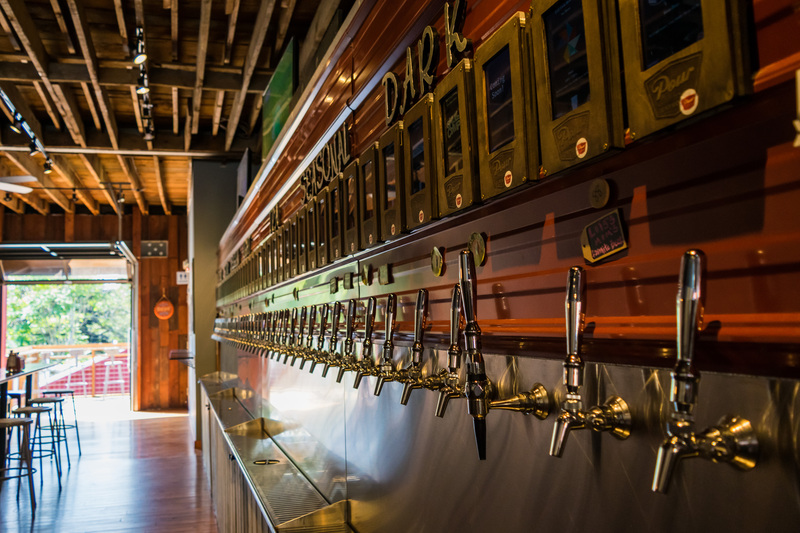 Pour Taproom: Yes, You Can Pour Your Own Beer From The Wall of Taps. And No, You Haven't Died And Gone to Heaven. After yesterday's savory breakfast, you're going to want to mix it up with something sweet. 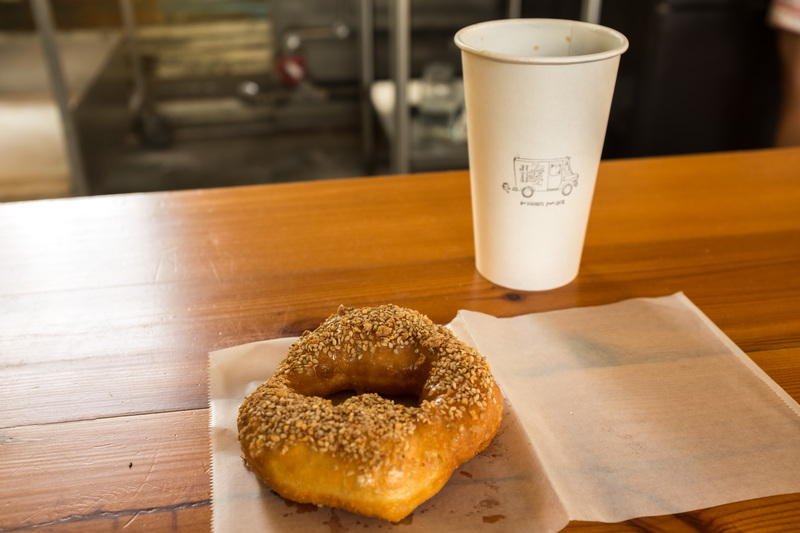 For that, there's nothing better than the hot doughnuts and coffee at Hole Doughnuts (168 Haywood Rd.). Grab a spot at the bar and watch your doughnuts be hand-shaped, -fried, and -sprinkled with special flavors like Mimosa (champagne and fresh orange zest), Ginger Cardamom, or our personal favorite: the Toasted Almond Sesame Cinnamon doughnut. If you can pull yourself away, it’s time to explore historic downtown Asheville. As a result of a slow commercial development during and following the Great Depression, Asheville's downtown is considered to have one of the greatest collections of Art Deco buildings in the country. If you haven’t already, check out the Grove Arcade and take a walk along Wall Street to sample some of the architecture and shops that make Asheville the gem of the Blue Ridge Mountains. As you're exploring the streets, be sure to look out for Asheville's exceptionally talented busker (or street musician) scene. You can find everything from Bluegrass, Ragtime, and Classical music on nearly every corner. Need a pick me up? Stop by French Broad Chocolate Lounge (10 S. Pack Square), where you can sample some of the best chocolates that we've ever had (and we eat more than our share of chocolate). Whether it's an artisan dark chocolate bar, toffee, brownies, or truffles, you're definitely going to have to make room in your carry-on to take some treats home with you. And if you've got time, take a stroll down the street to the French Broad Factory, located less than a mile from the Chocolate Lounge, where you can watch the masters turning raw cacao beans into a delicious finished product. If you don't have a long drive or plane to catch, spend your afternoon at Wicked Weed Brewery (91 Biltmore Ave.) to try some of the most unique beers in Asheville. Sundays are packed with tourists, so beat the crowd by heading to the downstairs tap rooms (around the left side of the building). If you’re feeling adventurous, try a flight of Wicked Weed’s trademark sour beers - trust us, you won’t regret it. Whew - that was one heck of a weekend! We hope you enjoyed yourselves and didn't get into too much mischief. Be sure to tell your friends (or keep it your little secret); then, come again… hopefully sooner than later!